“Care To Laugh” has been creating laughter through the love of caregiving across the country at film festivals as it gathers not just awards but the praise of everyone who sees it. As it continues to DOC NYC, the AARP Studios film is using this medium to tell personal stories that touch us all. In “Care to Laugh,” comic Jesus Trejo balances his life each and every day as he cares for his elderly parents and perfects his art as a comedian in Los Angeles. It’s a difficult balancing act, but it’s one that Trejo knows is helping his parents age gracefully, acknowledging that while a few sacrifices are made on the professional front, it’s only right to give back to his parents who sacrificed for him. 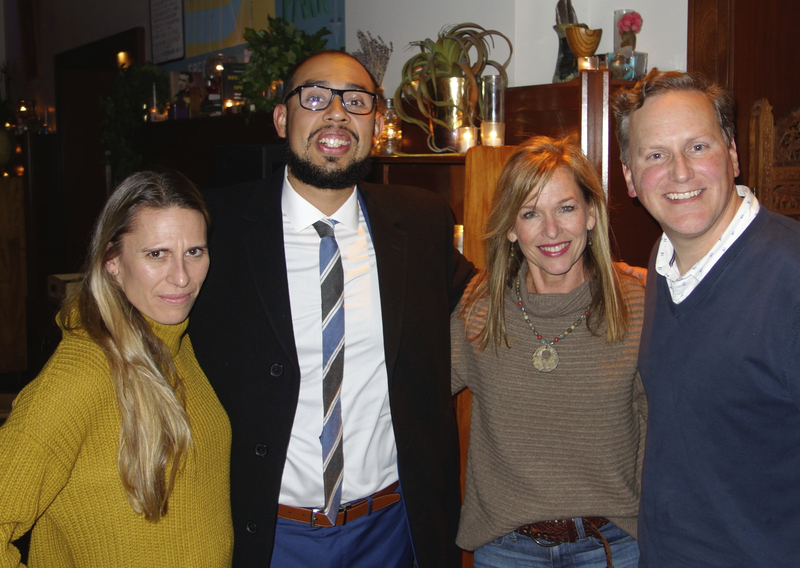 Director Julie Getz partners with Executive Producer of AARP Studios Jeffrey Eagle to tell Trejo’s inspiring story filled with relatable humor and love. I had the opportunity to sit down with Getz, Eagle, and Trejo recently in Chicago as the film also screened as the opening night film of the Chicago Comedy Film Festival. Their admiration for one another and their hopes for this film and more from AARP comes shining through with hope and positivity. Pamela Powell (PP): Julie, I understand this is your first feature film that you’ve directed. Tell me about your background and working with AARP. 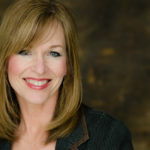 Julie Getz (JG): My experience in the TV and film business is that I was a documentary producer for about 16 years for outlets like Discovery Channel, National Geographic, PBS, a lot of the big Washington, D.C. outlets there About 2 years ago, I took a job at AARP studios with Jeffrey Eagle, we used to work together, back in the day, and I’m the Director of Development for AARP Studios. I focus on TV and film and podcasts. When we met him (Jesus) and we decided as a group that this was something we were going to pursue, Jeffrey entrusted me and the team to direct this film! PP: With documentary filmmaking, I’m assuming you didn’t know how the story was going to turn out. JG: What we knew when we first met Jesus is that he had an incredible story that we knew we wanted to share with the world and we knew we had some bits and pieces of information, right? It was decided that, let’s follow him. It just naturally unfolded as things came up in his life. As documentary filmmakers you want to be flies on the wall and we don’t want to intrude too much. You want to just let it happen and then just document his day to day activities and his relationship with his family. … It’s his story as his journey unfolds. PP: What was one of the most surprising elements in filming this story? JG: Just how incredible of a human being Jesus Trejo is and we felt so special and honored to be a part of this. Here he is juggling all these responsibilities and again, you see in the film, you can tell he’s got grit. He’s tenacious. He puts his foot on the accelerator and he doesn’t let up. He goes full throttle…for the love of his parents, for his career, and he knows that the stakes are high. Just to be a part of that and to tell his story in a way of how he did it, how it came across in the film …and then capturing those funny, light moments as well. I think we had that balance when we were putting all the pieces together, when you come back and look at all the footage, how do we tell this story, when to take a deep dive in, when to come out. I feel like how it all unfolded is the best way. … and hopefully it resonates with people. PP: What do you hope people will take away from the film and what have you seen so far after screenings? JG: With any project that I do, from a filmmaker’s perspective, is that I always want people to learn something, something they didn’t know before. … And for this film, that they walk away and learned something … and they know where to go, what to do. … AARP, they’ve got the resources, the caregiving guide, and again, the groups, so people don’t feel like they’re alone. …After the films, we walk out of the theater, people are coming up to us, they’re sharing their stories of how they just recently lost their parents or how they were caregivers for their parents and they didn’t know that AARP was in the caregiving business or that we’re actively involved in caregiving. That’s just to us a huge opportunity, being out there, letting people know where to go, what to do that you’re not alone, giving people direction to find a support system. Again, the whole point of this film is for people to walk away and be inspired and be engaged. If you’re not a caregiver, you eventually will be one day or you will be taken care of. If you know someone right now, pick up the phone and call them and help them out. Of course, at the conclusion of our interview, I began to share my own caregiving tales, relating to Trejo’s road trip as I crashed through a toll gate in Ohio only to look in the rear view mirror to see my mother who had dementia, laughing out loud at what happened. As Trejo said, this film and its topic is the “universal truth,” one which we all know and understand.